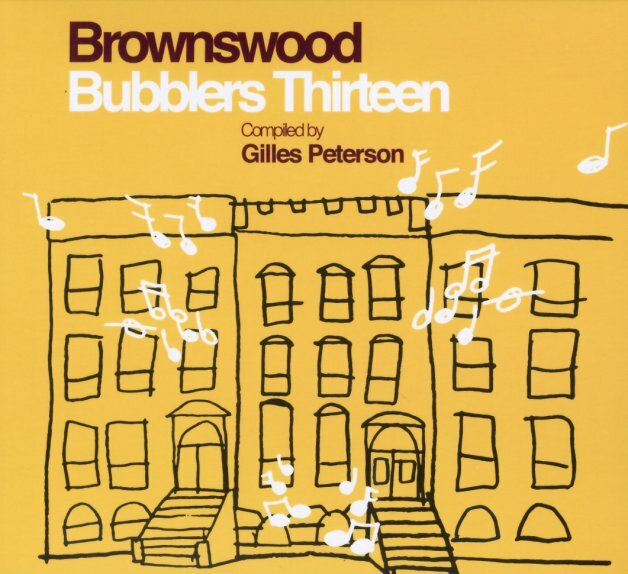 A lucky number 13 for the Brownswood Bubblers series – a great reminder that the compilation is still one of the best places we know for getting turned onto new music from the global underground! And by that, we don't mean the lame dance music "underground" of more than a decade ago – where this week's big track would go stale by the next. Instead, this territory is much richer – plumbed by DJ Gilles Peterson via his Worldwide Radio series, and the always-great work of the Brownswood label – an imprint that's dedicated to finding the best sort of genre-crossing, category-defying music we've always loved here at Dusty Groove! The tracks within are proof that in the right hands, soul, jazz, and other styles know no boundaries – or limits of imagination – on cuts that include "Ley Lines" by Emma Jean Thackray, "Nuketown" by Tiana Khasi, "Something My Heart Trusts" by Yazmin Lacey, "Ideas" by Sonnymoon, "No White God" by Oscar #Worldpeace, "Move" by Lynda Dawn, "Sailor" by Wu Lu feat Binisa Bonner, "Only Trying 2 Tell U" by Puma Blue, "Jury Judge Executioner" by Alxnder London, and "Continue The Fun (space version)" by Mauskovic Dance Band. © 1996-2019, Dusty Groove, Inc.